Lately, I have felt like I’ve been caught in a trap. I read that it’s called the ‘tyranny of the urgent’. Each day is driven by finding the most time sensitive need and dealing with it. I finally planted the garlic yesterday. 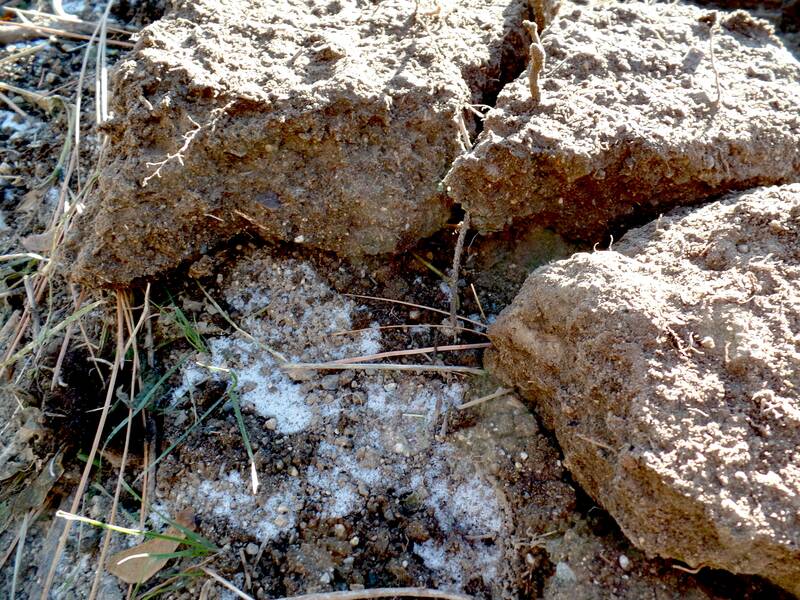 There was already 2″ of frozen soil on the garden. On the southern side of the raised beds I was able to get my shovel through it. Once through, I pried puzzle-like pieces of crust off. I put those smooth cloves down into about an inch of loose dirt and replaced all the pieces. 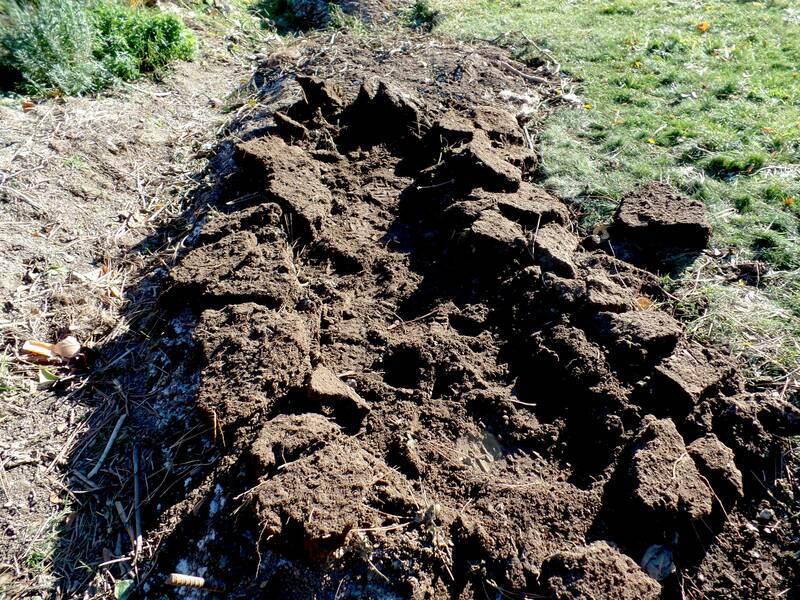 Then I tried to get as much loose dirt as I could into the cracks and topped the bed off with rabbit droppings mixed with a small amount of hay. I suffer periodically (more so in the past) from anxiety and depression. Over the past weekend I had felt myself beginning to slip down that slippery slope. However, the activity of planting the garlic out in the cold sunshine did so much to boost my mood. When I am depressed I don’t even want to do what I normally enjoy. I want nothing. I find this interesting. I had to drag myself out there to the garden. Why wouldn’t I choose it instead of something else? The decision of my goal is what I am interested in. The decision is where the power lies. I don’t know if the point of this is to solve depression or just question my goals. Why was planting the garlic on my ‘to do’ list? Why did it feel like work? It made me so happy. I felt so much better that I stayed outside and worked for two hours cleaning the yard up. I have many things on my ‘to do’ list. Most of them I actually want to do. But they quickly go from something I desire to do to something I’m dreading. How can I manage this tyranny of the urgent? There are things that have to be done. 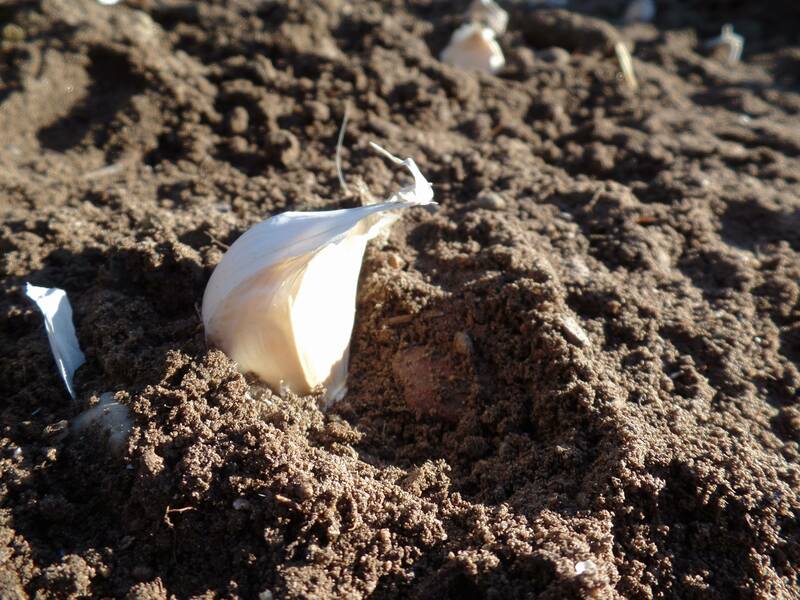 If I did not plant the garlic yesterday, the last day to do so, there would be no harvest in July. I wanted a garlic harvest in July so why wasn’t I out there planting it when it was warm and the ground was not frozen? I remember having the thought float through my head, “I should plant the garlic now”. I didn’t have time to do it for some reason or another. Were they excuses? Am I just undisciplined? Gasp! I know time management is not one of my strengths. I was incredibly stressed out today after spending 2.5 hours online shopping. I didn’t even make an order. I kept going in circles researching things. I finally shut the website down in snappy frustration. “Stupid Amazon and all their “prime” rules and “pantry” rules.” I knew I was stuck in unproductive deadlock with my stubbornness 1.75 hours earlier but I felt helpless to stop at that point. I wonder if some kind of schedule would help? I have a schedule for cleaning the house so it is not all piled on one day but I never follow it anymore. Oh, no. Are we back to the undisciplined thing again?! Arg!! Goals and discipline. I know the answer is in there somewhere. This entry was posted in Growing. Bookmark the permalink.